Office Space - Hamble le Rice, Hampshire. 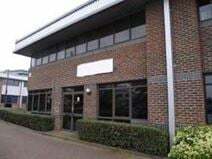 A selection of offices is available to let in a modern building in Southampton, one of the most dynamic and famous industrial area in the South of England. The building enjoys a business strategic location and is well connected to London and other important cities. These offices are available in various sizes and can be tailored to accommodate any of your needs.